A tumblr-blog, that explores “video game art styles“. A compendium and research-tool for the aspiring game designer and the experienced game developer. Go to Video Game Art Styles. A nice blend of playing video games and music at the same time – or to be more precise: to use video-game mechanics as an extended input device to order to organize sound. An interesting concept to build upon!! 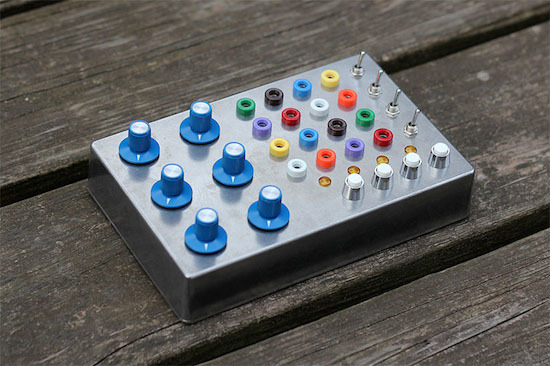 In the center stands also the Illucia patchbay controller – an limited and very nice looking controller. Get them, while they’re available. Read the whole story at Creators Project. Via The Good Evil. @><#!!! is the stange name of an interesting project. The foil is an interactive / reactive material, controlled by an Arduino-controller, servo-motors and invisible strings. 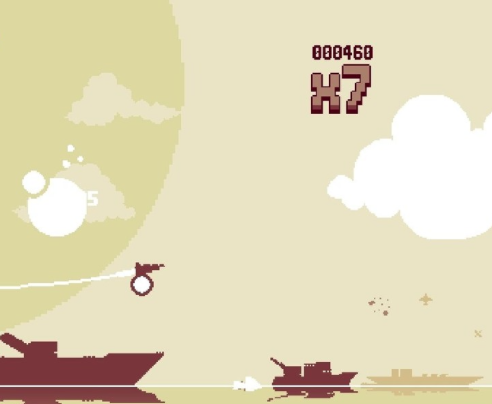 Jason Rohrer made a game, that finally crosses the border to concept art. He build a game, that should be played by people “2000 years from now on“. He made a computer-simulation of his board-game and a special AI, that was able to “modify the ruleset to balance the game”. He did no wanted to play the game himself – this game should be left unplayed until the future. The last step of the process was to bury the game in the desert of Nevada. He presented this work at the GDC 2013 Game Design Challenge. The topic was “Humanity’s Last Game”. His inspiration came from ancient board games like “Mancala” or catheral builders, who started the project, but never their lifetime could see the finished piece. Read the whole story at Polygon. I just came across this neat Minecraft-Videos from Seth Bling. Little games and engineering stuff, sometimes really interesting made. Who knows in what direction this minecraft-engineering will develop. Maybe we will have the ability one one to to completely craft a webservice for example within Minecraft. Today I came across the website from E-Waste Workshop. The people there are about media-art strategies and electronic waste. The website features an interesting blog with contents, that circle around upcycling, circuit-bending, modifications of existing e-waste and things like that. I post here one example-video from the blog – showing how to make a small drawing machine out of a floppy-drive with the help of a Arduino-controller. 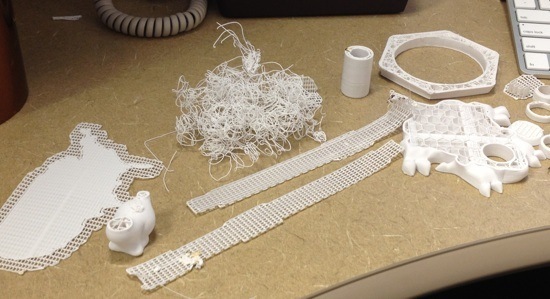 Scholar Labs 3d-printing failures. Why not add your own in the comments? 3D-printing at FabLabs is still a young discipline and a craft, that is not too easy to master. There are lots and lots of tries to achieve the desired results with 3d-printing – including figure out parameters like temperature, speed, material, construction etc… (we at Dingfabrik Cologne can agree with that).